Click here to visit the Amazon site and you’ll be able to score a 10 pack of lace flower baby headbands for $7.62 (regularly $30.56). They’re also offering free shipping to everyone. 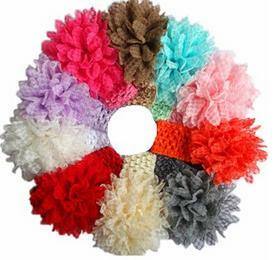 You can also click here to score a different set of colors for $8.06 (regularly $28.00). They’re offering free shipping on that as well. *Keep in mind Amazon prices can change, so be sure to check that it’s still $7.62 or $8.06 for the other one before you add it to your cart.